 A reliable source for Contract Manufacturers information and a resource for accessing leading Contract Manufacturers and suppliers. Contract Manufacturing The term “contract manufacturing” refers to the manufacturing services that some manufacturers perform on a contractual basis for other businesses. The companies for which they perform contract manufacturing services are called “original equipment manufacturers,” or OEMs. 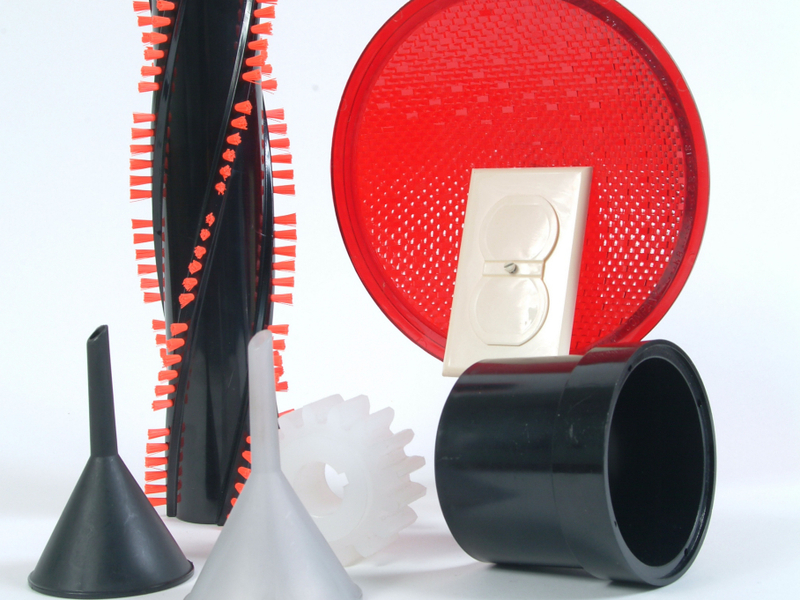 Manufacturer of standard and custom rubber products. Made of EPDM, neoprene, nitrile, dense, recovery sponge rubber and silicone compounds. Since our founding in 1960, Kenmode has built a reputation for producing complex high-precision, custom metal stampings and assemblies with the highest efficiency and quality. Our staff boasts over 100 years combined of field industry experience. We have been offering top of the line contract manufacturing services for over twenty-five years and this is something that we strive to continue long into the future. 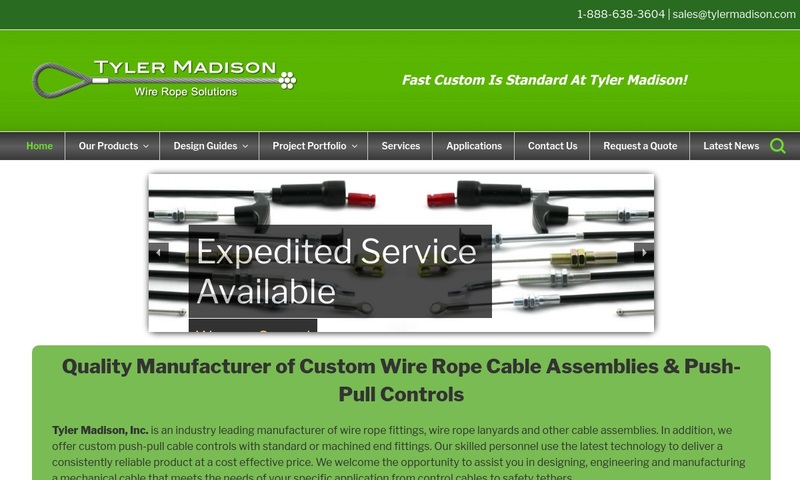 Tyler Madison provides contract manufacturing for a broad range of industries. They provide companies with a full line of products that are used for powering, lifting, hanging, pulling, braking, suspending & winding of 270lbs - 14,400 lbs tension. 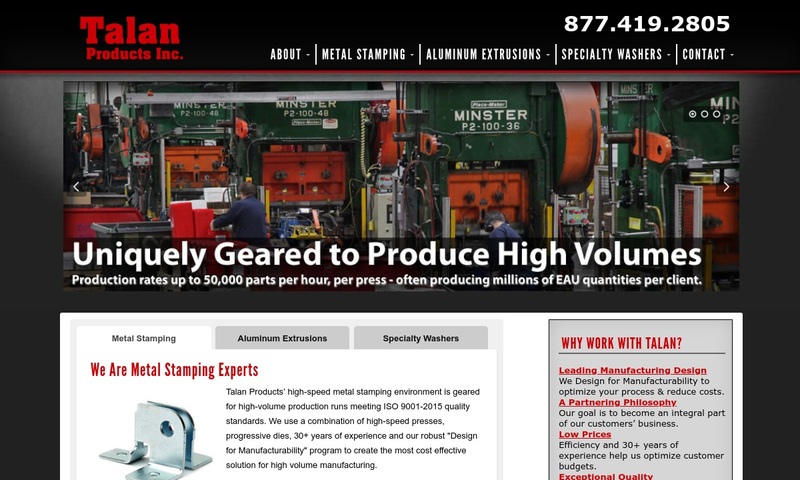 Talan Products is a leading contract manufacturing company specializing in metal stamping, aluminum extrusions, assembly & secondary operations supporting OEMs primarily in the building components, automotive & fastener industries. Here at MES, Inc. we are a full-service global manufacturing and supply chain. We offer a number of different types of services such as contract manufacturing, metal stamping, and more. 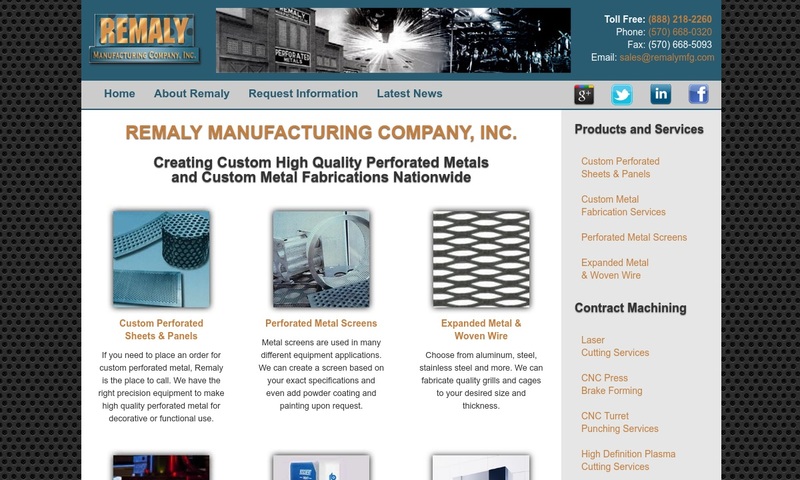 Long recognized as experts in the field of high-performance metal working, Remaly Manufacturing Company’s fabrications and assemblies are found throughout Aerospace, Energy, Defense and Aviation industries. 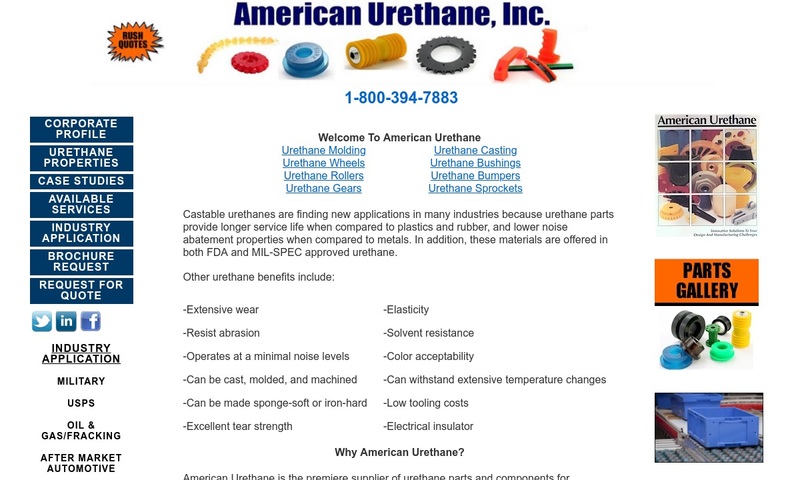 When American Urethane responds to a quote, you are able to talk to one of their expert engineers who understand all your needs and concerns. 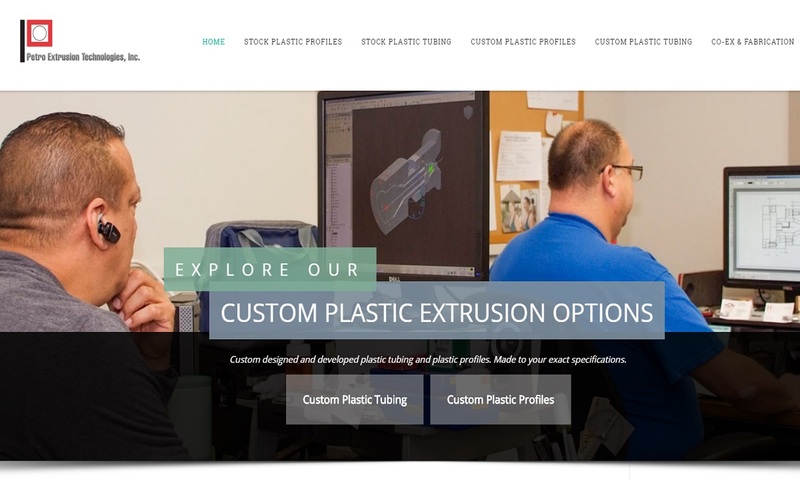 Petro provides contract manufacturing for our customers and offers many capabilities, such as customized shapes & extruded tubing, along with tape application, coiling & angle cutting. If you are looking for reliable contract manufacturing, look no further than Western Container Corporation. We have been in this business for over 70 years and we know what it takes to remain successful. Many businesses rely on contract manufacturing because it represents a cost savings, and it allows them to maximize their resources and pay for the upkeep of expensive equipment. Among the various contract manufacturing services that contract manufacturers provide are contract machining, contract assembly, and subcontracting. Contract manufacturers have a wide variety of capabilities. Among the specific manufacturing processes contractors use are milling, sawing, planning, tapping, drilling, turning, boring, and grinding. New technologies with growing demand among contract manufacturers include electrical discharge, ultrasonic and electrochemical machining, and more. Major companies use various types of contract manufacturing services for these jobs. Some of those industries from which these companies come include marine, automotive, aerospace, food and beverage, chemical, pharmaceuticals, military and defense, medicine and healthcare, and electronics. Contract Manufacturers – GSH Industries, Inc.
Modern contract manufacturing is a fairly new service. It kicked off during the mid-Space Age, in the 1970s. During those years, NASA, which had been going strong for a long time, started to receive less and less funding for their projects. Seeing that he was losing money, an Alabama based governmental subcontractor named Olin King began contracting out his services to engineering and technology companies such as IBM. Other companies, like Solectron, quickly followed suit. They offered to build entire electronic products, as well as components of products. In 1981, IBM issued their first computers built by a contract manufacturer. Throughout the 1980s, companies in the electronics industry used contract manufacturers for more and more applications, because they found that some in-plant manufacturing processes could cause environmental issues. By outsourcing their engineering and assembly processes, they were able to avoid these issues completely. In the early ‘90s, contract manufacturers started diversifying their services and reached out to other markets, such as pharmaceuticals, clothing and textiles, and toy production. 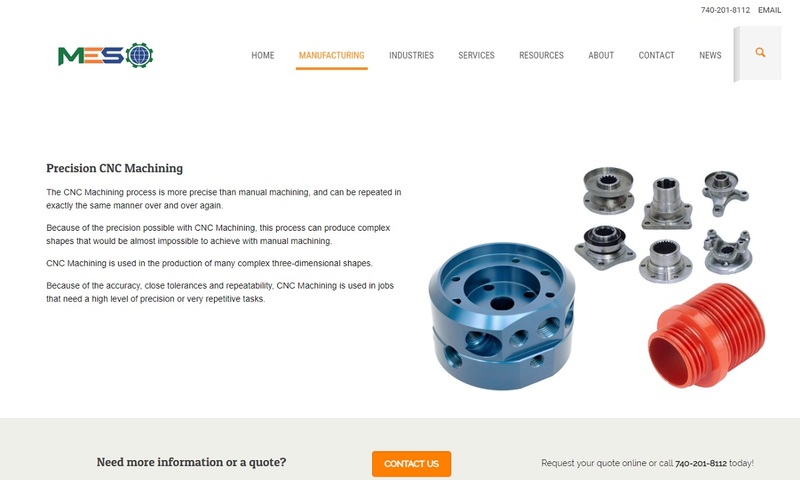 Their service capabilities were heavily expanded by CNC machining, a technology that had been slowly developing for a few decades, in a number of ways. CNC machining, for example, offered companies capabilities like faster lead time, higher production volumes, better quality parts and products, higher tolerances, and more intricacy of design. Today, contract manufacturing services are extremely lucrative. Improvements in communication and transportation have made contract manufacturing an efficient and popular means of production. People have been hiring specialized trade workers to make products for them for centuries, but technology now allows for this to happen on a global scale. Parts can be designed by a company in England, assembled by a company China using materials from Brazil and then sold to a company in the United States. As time goes on, we expect this trend to continue. Data shows that contract manufacturing industry is growing at an annual rate of 10%. Also, the global contract electronics manufacturing market is growing at a rate of around 15% a year, while pharmaceutical contract manufacturing is growing by about 7.5% a year. This is how contract manufacturing works, from start to finish. 1. Often, the company looking for a contractor starts by advertising its project and requesting bids. This is especially common in the government. 2. After looking through the bids, an original equipment manufacturer (OEM) picks a few manufacturers to which to discuss their application. 3. Based on their discussions, the OEM then decides which manufacturing company they want, and agrees to work with them. 4. Under normal circumstances, the OEM and contract manufacturing company establish a contractual agreement. This agreement specifies a particular job that the contract manufacturer must complete, and the timeframe and budget upon which they have both agreed. They may define this timeframe as hours, days, weeks, months, or years. Manufacturing contracts generally last between 3 and 5 years, although they can vary greatly depending on the nature of the project. Sometimes, they eliminate the timeframe altogether, and replace it with a measurable output goal. Having this contract in writing is beneficial to both parties, as it establishes accountability. Also, if an OEM is working with a foreign manufacturer, these written agreements help assuage language barriers. 5. Once hired, the contract manufacturer produces goods or performs services for the OEM on a regular basis. They usually apply the OEM company logo to any goods before they ship them. Contract manufacturers design goods and plan services based on customer requirements. During design and planning, they take into consideration details like product volume request, required frequency of product delivery, product quality standards, intricacy and precision of design required, custom product design requests, shipping distances, and the like. Depending on the application, contract manufacturers may use virtually any type of machinery. For example, in contract packaging, they often use machines like heat seal machines, vacuum packaging equipment, plastic molding machinery, and label dispensers. Meanwhile, in contract sewing, manufacturers use machinery and tools like industrial sewing machines, snap setters, stud setters, grometters, zipper makers, and strip cutters. Examples of contract manufacturing variations include contract machining, contract assembly, contract packaging, nearshoring, outsource manufacturing, industrial contract manufacturing, military contract manufacturing, electronic contract manufacturing, PCB assembly, aerospace contract manufacturing, pharmaceutical contract manufacturing, medical device contract manufacturing, chemical contract manufacturing, and contract sewing. Contract machining is a service usually performed at a contract manufacturing company’s machine shop. There, they machine a variety of materials, so that they are ready to move onto the next step of design and manufacturing. Contract assembly services involve the assembly of parts and products. Contract assembly services take place on machines like assembly lines. Contract assemblers may assemble components using man power, or they may assemble components using automatic machinery. Contract packaging is the service of carrying out packaging operators on a contractual basis. Contract manufacturers that perform packaging can be called contract packagers or copackers. They usually manufacture items and packaging materials like blister packaging, clam shell packaging, shrink wrap, and labeling. Nearshoring is the name given to contract manufacturing that is performed in the same country as the hiring company or a bordering country. The benefit of nearshoring is that it cuts down on shipping costs and project lead times. Outsource manufacturing, though it technically means the same thing as contract manufacturing, also refers to those contract manufacturing services that OEMs commission from international sources. Industrial contract manufacturing is the subtype of contract manufacturing that focuses on the production of industrial equipment and the performance of industrial processes. Examples include commuter rail lines, rubber products, textiles, heavy machinery, and plastic injection molding. Industrial contract manufacturers can also produce some industrial electronic items. Military contract manufacturing, sometimes called defense contracting, is a type of contract manufacturing completed exclusively by government approved companies. These companies produce items for the military such as weapons, body armor, aircrafts, and shelters. To supplement their income when not working for the government, military contract manufacturers also take on large number of non-governmental companies. Electronic contract manufacturing is one of largest contract manufacturing fields. Electronic contract manufacturers produce all sorts of electronic products and parts, including anything from cell phones to semiconductors. PCB assembly, or printed circuit board assembly, is a subcategory of electronic contract manufacturing. PCB assembly services are just as they sound. PCBs can be used to support a wide range of electronic products. Aerospace contract manufacturing is a contract manufacturing field that produces parts and products such as helicopters, jets, airplanes, and unmanned aircrafts. Depending on their customer, they also have to make products to very strict standards. Pharmaceutical contract manufacturing is usually carried out by pharma contract companies called contract development and manufacturing companies (CDMCs) or contract manufacturing organizations (CMO). They make products for pharmaceutical companies, like liquid medicine, capsules, pills, creams, and lotions. They also make all packaging of these products. Medical device contract manufacturing companies make medical devices and medical tools for other companies to sell. Chemical contract manufacturing is a branch of contract manufacturer that focuses on manufacturing equipment and synthesizing chemicals and materials for the use another company or organization. These chemicals and materials are usually the starting pieces that customers need to carry out their applications. Contract sewing is a branch of contract manufacturing that provides for OEMS not only items like clothes, but also items like carrying cases, table umbrellas, tents, cushions and upholstery, blankets, anti-static computer cloths, and more. Contract sewers provide services like label stitching and use a wide variety of materials, from velvet to vinyl. Both parties involved in a contract manufacturing arrangement experience many benefits. First, the contract manufacturer benefits from steady work that helps to create financial stability for their firm. On the other side, the OEM avoids the hassle of operating and staffing a production facility. They also remove the costs involved with operating and staffing said production facility. The OEM also gains the experience and expertise of the contractor, who usually has their own quality control process. Instead of having to use their new skills themselves, they can lean on the capabilities of their contractor. Finally, partnering with a contract manufacturer allows the original manufacturing company to focus on its core operations, while the manufacturing contractor does what they need them to do. Before signing an agreement with a contract manufacturer, you need to carefully consider a number of things. These include if a manufacturer has access to the best technology, their capabilities, if they can meet your standard requirements, their delivery options and how long products will take to arrive, if they offer payment plans, their reputation, and their years in business. If a manufacturer cannot produce and ship parts in the specified timeframe, look for another contract manufacturer who can. In addition, any manufacturer with which you work should be willing to work for you on a trial basis before you sign a contract. An unwillingness to do so is a red flag, as it indicates a lack of transparency. If they are unwilling to work out payment plans, discuss customizations or provide quality assurances, watch out; these are also red flags. Most contract manufacturers want to show their customers that they are trustworthy and a good choice for a long-time partner. They are also happy to demonstrate that they are organized and have the capabilities to track of all their customer orders. If you don’t get the impression of such attitudes and capabilities with a potential contract manufacturer, steer clear. Untrustworthy contract manufacturers could cause big problems. For one, they could present you with goods or services of subpar quality. In addition, if you are sharing your technology and specifications for production, a dishonest manufacturer could force you to participate in intellectual property disputes. Global communication makes it easy for companies to advertise and bid on manufacturing contracts and even take orders that help manage production. Nevertheless, finding a quality pool of contract manufacturers can be a daunting task. To help you in that endeavor, we have put together a list of those contract manufacturers we have found to be reliable producers of high quality work. You will find their information wedged between these paragraphs. For the best results, we recommend you look them over, note their capabilities and offers, and narrow them down to three or four candidates. After that, reach out to each of them to talk over your application. After you have spoken with each potential supplier, figure out which one is right for you, and call them back to negotiate a contract. Good luck!